How much is Nathan Moore Worth? Nathan Moore Net Worth: Nathan Moore is an American folk musician and singer-songwriter who has a net worth of $500 thousand. Nathan Moore was born in Clifton Forge, Virginia in October 1970. Moore is best known for being a founding member of the bands ThaMuseMeant and Surprise Me Mr. Davis. Moore plays guitar and sings as well as playing harmonica. His debut studio album Single Wide was released in 1999 and he has released 11 solo albums. ThaMuseMeant started in 1993 and released their first album Live At the Mineshaft Tavern in 1995. The band has released a total of seven albums. They went on hiatus in 2001 but resumed in 2003. Surprise Me Mr. Davis formed in 2003 and released their self-titled debut studio album in 2004 on Frogville Records. The band has released a total of three albums. Moore co-owns the independent label Frogville Records with Joan Treadwell. 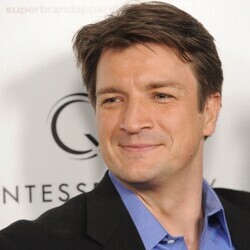 Nathan has written more than a thousand songs and won the Telluride Bluegrass Festival Troubadour Competition in 2008.